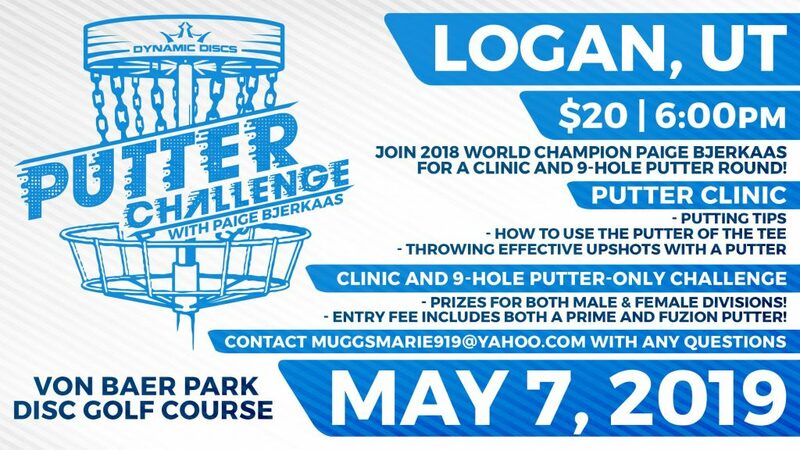 The 2018 FPO World Champion Paige Bjerkaas is coming to Logan on May 7th! Join her for a clinic and putter only tournament at 6:00 at Von Baer Park. Spots are limited so pre-register here to secure your spot.